Spring Break at Purgatory Resort is unforgettable. 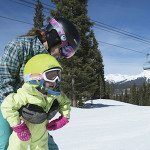 Our spring lodging and lift ticket deals get your family and friends out on the slopes together. With games, giveaways and unique activities for kids, teens and adults, and live music all over the resort, it’s nonstop fun for everyone. Kids Ski FREE when you book three nights of lodging and three days of lift tickets for mom and dad. Plus save 30% on resort lodging when you stay March 18-April 3. Kids Ski FREE when you book four nights of lodging and three days of lift tickets for mom and dad. Plus save 25% on resort lodging. This special is available every day this season. Live music and sunshine on Purgatory Beach lend extra fun to spring skiing. Save 20% on resort lodging, and over 25% on lift tickets. Available March 1-27. Colorado Native Giveaway at Dante’s @ 1pm!